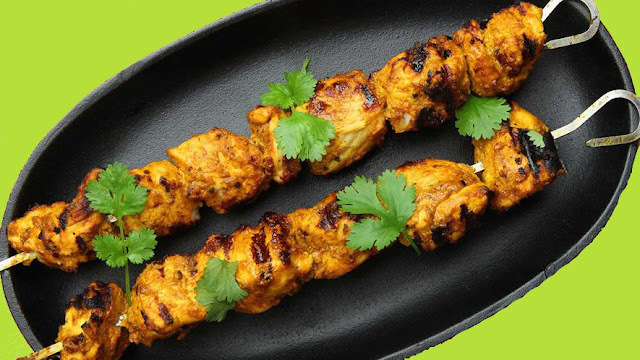 If you have a party planned at home then should definitely try this easy-to-make Chicken Tikka Recipe, which is absolutely delicious and will be ready in no time! This appetizer recipe is a true delight for all the non-vegetarians as it's succulent and is cooked using broiling method, which makes the dish healthy and nutritious at the same time. 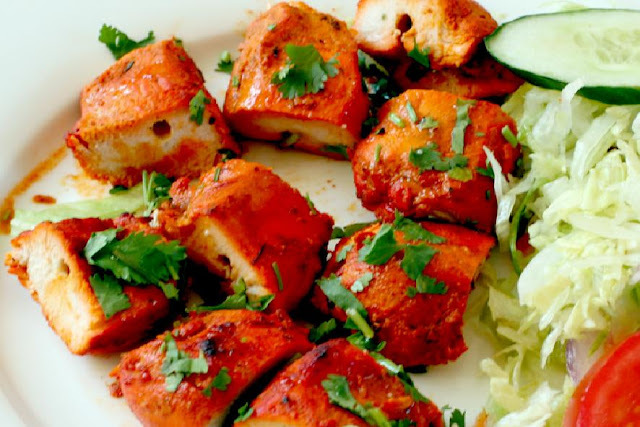 Chicken Tikka Recipe is an apt dish for occasions like kitty party and game night, and will be ready in just 45-minutes. 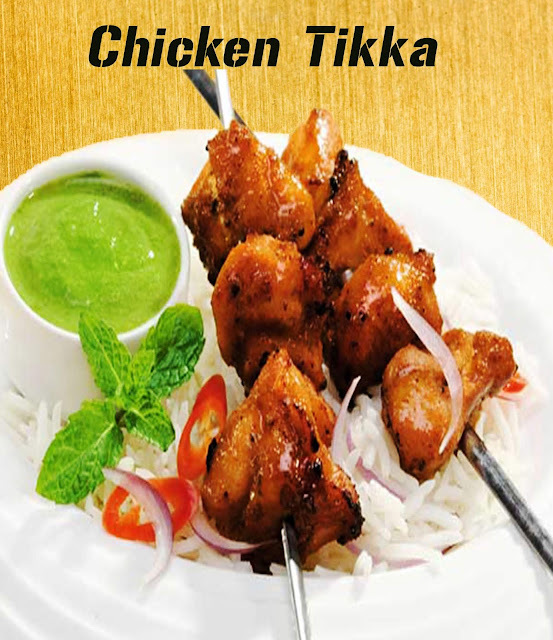 To prepare this delicious Chicken tikka recipe, prepare the marinade first by mixing them together lemon juice, coriander powder, paprika, cumin powder, caraway seeds, aksoori methi powder, ginger-garlic paste, chilli powder and yoghurt in a large bowl. Next, preheat oven at 450 degree Fahrenheit. Next, wash the chicken thighs well in running water and pat them dry. Cut them into bite-sized pieces into one large bowl. Add chopped Chicken, bite-sized onion pieces and chopped bell peppers in the bowl of marinade. Using your hands, mix well and set aside for about 1-2 hours and let them marinate. After some time, thread the chicken on to the skewers, followed by onion and bell peppers. Brush oil on all of them.